This year, 700 young African leaders are in the United States taking part in the Mandela Washington Fellowship at various universities. Of those, 27 are from Zambia. These lucky Zambian youths where among over 1,000 youths who applied for the 2018 fellowship but only 27 were selected. Among those fellows are people from various backgrounds and in the coming weeks, I will be profiling a number of them. 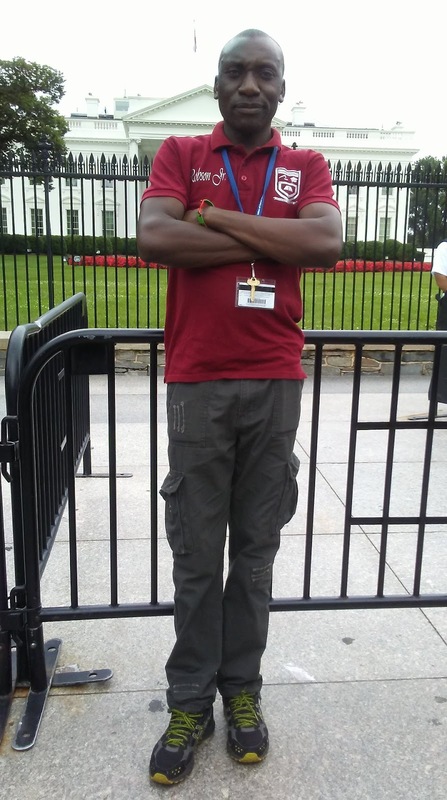 As a 2016 Mandela Washington Fellow myself, I mentored one of those fellows, Robson Maamba Jr to apply. He first applied for the 2017 fellowship but he was left out. This frustrated him and he vowed never to apply again. But after a lengthy process of negotiations, he finally agreed to apply for the 2018 fellowship and he was selected. I must mention that Robson and I have been close friends for close to 15 years now and we shared a lot in common after we both left tertiary education: joblessness, hunger to work for God, searching for marriage partners, etc. In this question and answer article, Robson explains the difficulties he has gone through in life and how he has managed to overcome life and reach where he is. Paul: First of all Robson, tell our readers who you are. Robson: I’m a third born in a family of seven, 4 boys and 3 girls. We have always been a happy family despite my father being a farm labourer and my mother being a full time housewife in Lusaka West’s Sekelela area. Around 1987 my father could not take it anymore receiving slave wages and decided to quit his job as a farm supervisor and relocated to Chawama Compound to try his luck elsewhere. With all my siblings we moved into a two roomed house with one being used as our parent’s bedroom and the other working as spare bedroom, lounge, dinning and kitchen. My father’s next job was that of being a marketeer (trader) at the Old Soweto Market, where the current Lusaka City market sits today. He owned a stand were he sold tomatoes, onions and other vegetables. During the maize marketing season he would sell maize. Paul: From that business, was dad able to send you to school. Robson: In the early 1990s getting a school place in Grade 1 was so difficult because of the population in many compounds in Lusaka. My father struggled to find me a place within Chawama until he managed to find one at Chinika Primary School which is located in Chinika Industrial Area and about 15 kilometers from Chawama. During Grades 1 and 2, my father would give me transport money upto Town then I would walk from Kulima Tower bus station to school. When I was just getting into Grade 3, life became so hard for my father that he could no longer manage to give me transport money to school and even buying me proper shoes became a problem. Eventually I begun walking the 15 kilometers distance to school. I did this because I loved school. With the continued financial challenges my father could no longer manage the town life and it was time to quit his tomato business and head back to Lusaka west in 1993. Because it was believed school going pupils are not to be disturbed from school, my two sisters and I remained in Chawama with our grandmother so we could continue with our school. My grandmother’s only business and survival tool was that of selling the illicit local brew ‘Kachasu’. My sisters and I participation in this business and our role was going to order in bulk from Jack Compound which was later sold in retail at my grandmother’s house. We automatically became chief testers of the beer as during ordering we would be given to test if we were getting the best brew to satisfy our customers. Paul: I guess life was so hard in Chawama, how did you manage to survive with the long distance to school? Robson: At this point, my entire family were staunch Catholics and I served as an Alter Boy (Kampenga) at Chawama’s Regina Parish. Things started getting tough in terms of finances for my grandmother to fend for us such that even soap and body lotion became a problem to come by. At some point my uncle who was then a mechanic brought us automobile greeze which we used as vasilene. After applying this greeze then walking 15 kilometers to school was something else. I recall one day my friend in class making fun of me saying somebody in here smells like a motor vehicle. The continued suffering forced my siblings and I follow our parents in Lusaka West. At this point my parents had converted to Adventism as my father was now Farm Manager for Rephidim Institute a support Ministry of the Seventh day Adventist Church. With no time we all converted to be Adventist. And we were all transferred to Lusaka West Basic School where I did my grades 5 to 7. Robson: My father’s financial hardships had not yet been solved but we kept going. After seating for my Grade 7 examinations, I came out to be the best student and was selected to Kafue Boys Secondary School. My father’s salary was not enough to meet my new school fees and he would every term get a salary advance that left the entire family starving for at least two months after opening schools. Knowing how much my family suffered so that I get to school was a serious motivation for me to study even harder. I remember one time during the PTA Annual General Meeting my father only managed to find transport money to bring him from Lusaka West to Kafue boys and told my mother to buy maize and pack some guavas for me and that’s all I received whilst my colleagues in the dormitory were eating chickens, cakes, and others received pocket monies. I had to endure this embarrassing moment as my friends kept mocking me that “how can your father bring boiled maize and guavas.” This experience is one of the driving forces that propelled my potential and made me study even harder so that I could bring change in my family. And true to this, after grade 9 I was among the best students which saw me being selected at Hillcrest Technical High School in Livingstone to join the rest of the “Crème dela Crème” as we were fondly known. It is at Hillcrest Technical School were I began to develop leadership ambitions. In Grade 10 I became a Dormitory Captain, a position that exempted me from cleaning toilets, sweeping around but was only confined to supervising my fellow grade 10s and assigning them duties. During my 3 year stint at this school I continued striving for excellence and developed interest of becoming a lawyer. I engaged myself in a number of clubs such as Press Club where I was Editor, Cultural Club where I served as President and I also served as President for Drama Club. The serious test of leadership came when I was chosen Headboy for the school, leaving other boys who were coming from richer and exposed families, compared to me a son of farm labourer who struggled to raise my school fees. During my time as Headboy, I learnt my own leadership lessons through many mistakes that almost shuttered my future because I forgot where I came from due to the authority which was bestowed on me. The only positive outcome from Hillcrest is that I came out with flying colours. Paul: After Secondary School, did you attempt to become a lawyer as you earlier mentioned? Robson: Seeing that my Grade 12 results were exemplary, I was so sure I would go to the University of Zambia to pursue my dream career Law. 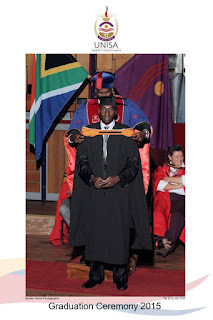 I however could not be admitted into the School of Humanities and Social Sciences due to the fact that I never took any social science subjects at high school. Had my Career masters at school counselled me well from Grade 10, it would be a different story today. Not wanting to go into the School of Natural Sciences were I would have fitted well, I came to learn of Library Studies and got interested to pursue it and what motivated me was the fact that it was a double major and I had an option to pick any Social Science major. Without wasting any further time, having lost a year already, I quickly applied for Bachelor of Arts with Library and Information Studies, and this time around there was nothing to come into my way and the acceptance letter was given to me. Colleagues advised me about the bursary that the Government was awarding to deserving candidates and I gave it a shot. Fortunate enough, I was offered a 100% scholarship which was a huge relief to my father who struggled for 12 years for my school. With my interest in the governance system, I picked on Public Administration as my other major and from the word go I was in love with it more than the former. My university life was all rosy as I had no worries on who would pay for me and further who would buy for me food as all this was well taken care of by the Government Republic of Zambia through a Bursaries scheme. Everyone back home was eagerly waiting to have the first graduate in the family and my father was so proud of me that not only did he give me his name but I was without any doubt his favourite child. I looked forward to graduating so that I could make him more proud and for him to somehow reap from his sweat. Only July 13th, 2008 whilst doing my third year my father was brutally murdered by unknown people in Lusaka’s Bauleni Township. I was called from school 3 days after his disappearance from home to try and find him. We began by searching for him from Police Stations within Lusaka and then finally, we went to UTH were we got a pass to search the mortuary. It was my first time to enter a mortuary in my entire life. Reality dawned on me as we checked body after body in the BID section when we found our father’s body badly injured lying in a pool of blood. This was a tragedy that shuttered me and the rest of the family. 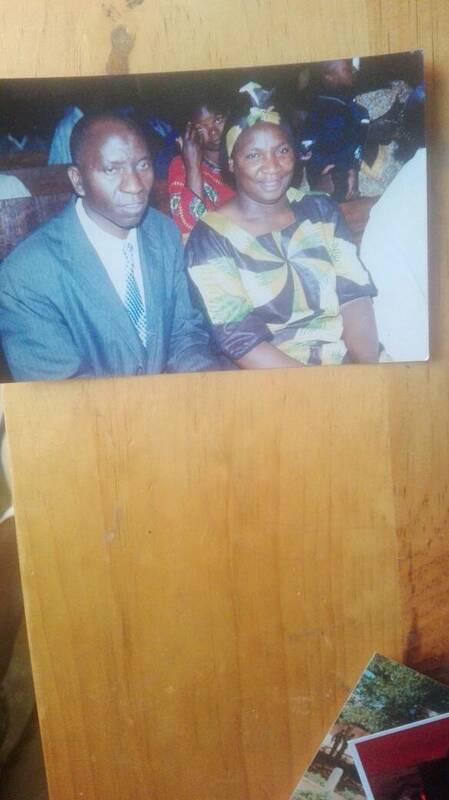 The scene of seeing my dead father in the mortuary has failed to leave my head 10 years after this tragedy. My once happy UNZA days were now gone as I had to share my K450 meal allowance with my mother, my two siblings: one who was in Grade 10 and the other in Grade 4. My father never left any house and rentals had to be paid too. This was the waste experience I have had at such a tender age. I vowed never to abandon my two siblings as that would be the only way I would have rewarded my father for his sacrifices on me to be where I am today. I continued hustling through providing tuition to mature entry students in various courses beyond what I was studying who later paid me so I could manage to meet my family obligations. Paul: Losing a parent who sacrificed so much for you must have been so painful. Now tell me, fter your graduation, how was life? Robson: During my graduation I was surprised to see a Rosa Bus full of people from my childhood place Chawama coming to witness their own son of the soil making it. This was a first as the normal trend in the compounds, youths indulge in substance abuse and other illicit activities. A surprise party was then arranged after the graduation ceremony in Chawama where I was given a hero’s welcome and many other young stars also got interested to go to university. As the case maybe, jobs in Zambia are not easy to get so was the case with me. I could not go back to my mother’s place as she and my siblings looked up to me for sustenance after graduating from UNZA. I gathered myself and moved to Kamanga Compound to live with my cousin as I looked for employment. My uncle offered me something to do at Chelston Small market were I became I cashier in his barbershop and would help with other issues in his business. In the company of my former course mate at UNZA Brian LIambai now working with Ministry of Health in Western Province, we would walk from Chelston to Town dropping unsolicited application letters in various companies. At the same time with my long time friend Daniel Sicheka we begun buying navy blue jackets from salaula and putting Adventist Youth badges on them which we sold to youths in the church. This business and some monies that my uncle gave me from the barbershop I was able to contribute to our rentals with my cousin, pay for my siblings school feels and gave some upkeep money to my mother. Paul: This sounds like you became a Tamanga as Lusaka people would call it? Robson: yes I was a Tamanga. In about 1 year 2 months of leaving UNZA, I was no longer with my uncle’s business and this time around I secured a stand in Kamanga market were I sold mealie meal in small packs popularly known as pamela, salt and cooking oil in smaller packages. Many people in the market could not admit whenever I told them I was a university graduate and thought I was just lying. I continued doing this alongside the jacket business and one in a week I would walk around Lusaka dropping application letters. In August 2011, remember we lost one of the Youth leaders in the SDA church in Kabwe, Daniel Sicheka, yourself and I travelled for the burial in Kabwe’s Katondo township. Shortly after the burial, we were met by the then Union Youth Director Pastor Reuben Muyunda who offered us a lift from Kabwe to Lusaka. On our way coming he begun asking us what we were doing for a living when my turn came I told him I was a graduate from UNZA whose seriously job hunting. He asked me if I knew anything about Rusangu University , trust me it was the first time I was hearing about it, I requested for the postal address and that very day when we reached Lusaka I wrote an application letter and sent it via post office. Four months down the line I received a phone called from Rusangu asking me to send reference letters from church and anywhere I had worked before. I did not have trouble getting references from church because at this point in a time I was serving as Youth Chairman for over 21 Mission Districts. But I had problems getting references from work places and I quickly rushed to my uncle who wrote a powerful reference for me following the works I offered In his barbershop. Three weeks later, I was invited for interviews at Rusangu University and that’s how my job hunting ended on 1st January, 2012. Paul: Tell us about your life at Rusangu University. Robson: Knowing that I still owed my family a lot through their sacrifices, I quickly got my young brother Onishias who had then been sitting at home for two years doing nothing. I moved with him to Monze where the university is located and enrolled him even before I received my first salary. God found a way of providing and as I speak my brother is now a university graduate in Journalism. He is a Station Manager for a community Radio Station in Chipata. I now remain with my youngest sister who is just begun her second year pursuing a degree at university. For the sake of my father and mother’s scarifies, I will stop at nothing until this girl becomes independent, that’s the only time when my hero father’s spirit will be happy. Paul: You have really been an inspiration to your family in so far as leadership is concerned. Now tell us about your journey to America. Robson: As an individual I have done personal growth such as upgrading my studies to an Honors Degree from University of South Africa and now am doing the final part of my Master in Information Science. A proud husband of one wife and two daughters. 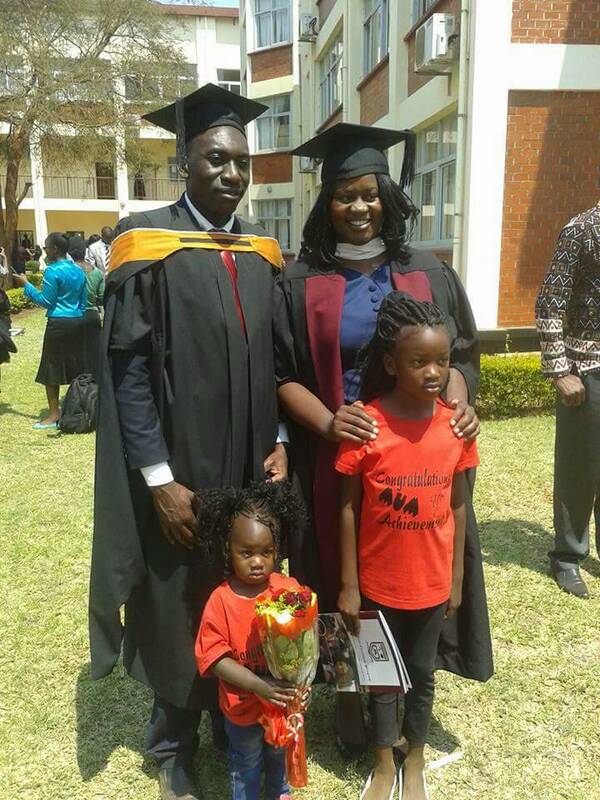 I believe in women empowerment and I took it personal to educate my wife from being a Grade 12 to being a University Graduate within our five years of being married. Today she holds a Bachelors Degree in Social Work from Rusangu University and is an officer in the Zambia Police Service. Leadership has always been a good companion even where I don’t want to serve I find myself in the driving seat, I have held positions in the community, church and professional bodies. 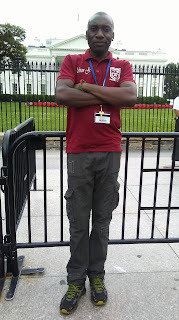 In the year 2016 I read something on Young African Leaders Initiative (YALI), that same year, one of my good friends was selected for Mandela Washington Fellowship program. I developed interest in learning more about it and in the same year when applications for 2017 opened I decided to give it a try, unfortunately I only received an email later that my application was rejected as it did not qualify to meet the selection criteria. I was so disappointed and shuttered especially the day I saw people on Facebook leaving for USA. I told myself never to give up and begun preparing for next applications to open. In September 2017 when the applications opened I again applied and this time around I never had any confidence of even making it somewhere because last year’s failure was still paining. In January, 2018 whilst working in my office I received a call from the US Embassy inviting me for the interviews in a week’s time. I travelled from my home in Monze to Livingstone where the interviews where taking place. After the interview I was told if I do not hear from them by 16th March, then I should know that I am not successful, it was the longest two months I have endured and finally the said day came but there was no correspondence from the Embassy. At this point I did not want to believe that the last years’ experience had repeated itself. Two days later as I opened my computer in my small office I was greeted by an email from the US Embassy congratulating me for being selected to the 2018 Mandela Washington Fellowship and I was asked to mention if I was still interested to participate. I sat in my chair motionless for close to an hour failing to believe that it was me. After an hour I gladly replied that I was still interested to participate. Looking back at my background, having been a chief tester of kachasu, applying greeze as lotion, living in shanty compound and later being a farm boy, it is unbelievable that I will be flying to the world’s greatest country the United Stated of America for 6 weeks at Howard University in Washington DC, were I will receive training in Public Management and join other 699 young Leaders from Sub Saharan Africa. It only pains me that my hero is not there to see how his labour is yielding fruits impacting other lives especially the underprivileged in our communities. This week marks the third week the 2018 Mandela Washington Fellows have been in the United States. Robson has been all over Washington, DC checking out the land marks that he usually used to see on television or in books. Onishias also recalls how Robson resembles their father in his leadership traits. This an awesome story Paul. A big congratulations to Rabson's achievement and wishing him all the best in his career and life as a whole. Thanks for sharing once more! This is inspiring... You truly overcame all odds. Truly you are a fight for you passed through many challenges in life. Let the almighty God continue blessing you as you mentor others. So inspiring story Comrade Maamba. You are a man whose determination is a marvel. Keep trusting God and you will be established. I have no doubt you are on a path to greatness. It's really a sad and joyous story or rather interview. Not only have I been inspired but learnt alot from this write up. Indeed may God continue to bless you Robson Maamba. I never knew this side of you. Now I understand you in totality. Your future is very bright. Robson, you have not only challenged me but also inspired me. Your relentless efforts are making me pride in your achievements. I'm happy you have gone against all odds. Great and inspiring story. Loss for words, but great to have spent these minutes reading this wonderful inspiration. Very touching story. God bless Robson and the works of his hands. It’s not easy to rise up from the shanty compounds to such a statue in society. I can relate with the story in some instances growing up in Chaisa myself. We all have our uniquely different battles to fight. Wow...it can only be God! Oh wow I am lost for words. I thought I have seen worse but I was wrong. Surely the Lord takes care of his own. A pround Husband of one wife and two daughter.Take note "one wife".Paul you know how to really bring and catch your readers so well.Congratulations to Robson.Next nine bane. A pround husband of one wife.Paul u really knw hw to catch the attention your readers.Congratulations to Robson! i want to thank Dr Eboh for the herbal HIV medicine he gave to me and my daughter, i was suffering from HIV when i gave birth to my daughter and that was how my daughter got the sickness indirect from me, but to God be the glory that i am heal with the herbal medicine that Dr Eboh gave to me when i contacted him. i want to use this medium to tell everyone that the solution to our sickness has come, so i will like you to contact this great healer on his email address: holycurecenter@gmail.com with him all your pains will be gone, i am really happy today that i and my daughter are cured of HIV, we are now negative after the use of his medicine,my doctor confirm it. once more i say a big thank to you Dr Eboh for healing hands upon my life and my daughter, i say may God continue to bless you abundantly and give you more power to keep helping those that want your help in their lives. email him now he is waiting to receive you. holycurecenter@gmail.com or add him on whatsapp +2348053823815.